No matter how disciplined you are at first, there are a few things that always seem to get in the way of getting to the gym. Whether it’s limited time, membership fees, or the uncertainty of when you’ll see results – one or many of these things eventually slows progress to a halt. To battle this, I’ve started to explore home exercise options. They decrease time and cost and give you a timeline for progress. In this article, I’ll help you choose the difference between P90X and Insanity, based on your goals and preferences. 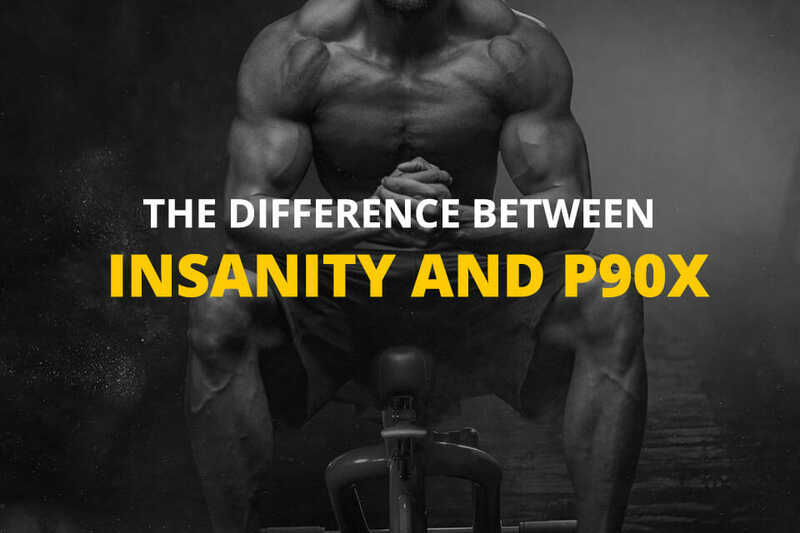 Insanity vs P90X: Which is the Better Program? ​I’ll explain what each program is, share a comparison chart, compare specific aspects of each regimen, and wrap up with some FAQ’s and which program I’d recommend. Insanity is a home workout program that uses max interval training to burn a large number of calories per hour. Max interval training means that you work as hard as you can for a short period, and then get an even shorter rest period before starting again. By making your heart constantly “accelerate”, you’ll burn more calories than cardio where your heart rate is consistent. Unlike many other home exercise routines, Insanity conveniently doesn’t require any home exercise equipment. It’s designed to only need your body weight resistance. The 10 workouts are instructed by Beachbody’s Shaun T.
Insanity claims to be the hardest training program on the market. It’s designed to be extremely challenging, even if you’re in excellent shape. It’s maximum-effort, high-impact exercises are perfect for those who are already in great shape and are looking for an extra challenge. The P90X is a total body exercise routine instructed by Beachbody’s Tony Horton that uses “muscle confusion” to prevent plateaus, help you lose weight, burn fat, and get a healthier body in 90 days. P90X workouts use the “muscle confusion” concept by using short workout cycles that rotate which muscles you use and the effort required. By using this technique, P90X combines exercises that focus on endurance and muscle gain, while also preventing overtraining and maximizing muscle hypertrophy. By avoiding plateaus, the P90X regimen can be used effectively over long periods of time. Over the course of 12 DVDs, P90X exercises alternate between jump training, cardio, yoga, strength, and intervals. Although the trainings are slightly less demanding than Insanity, the difference is made up in longer program duration. P90X is great for improving overall health and supporting weight loss goals. Here’s a quick visual on the physical benefits of P90X vs Insanity. If your main goals are to lose weight, burn fat, and you’re closer to a beginner or intermediate skill level, I’d recommend P90X workouts. Insanity is designed to be an extreme challenge. It was originally developed to help people prepare for marathons and triathlons by building up flexibility, cardio, and endurance. When choosing between P90X or Insanity, also think about how you prefer to be coached. I found Shaun T to be a drill sergeant with a motivational kick. However he doesn’t spend much time on explaining good form, so you’ll need to know right from wrong going in. Tony Horton is encouraging and on the friendlier side of the spectrum. He also takes the time to explain form and providing mods – making it great for all skill levels, since it’s easy to forget or slack off. 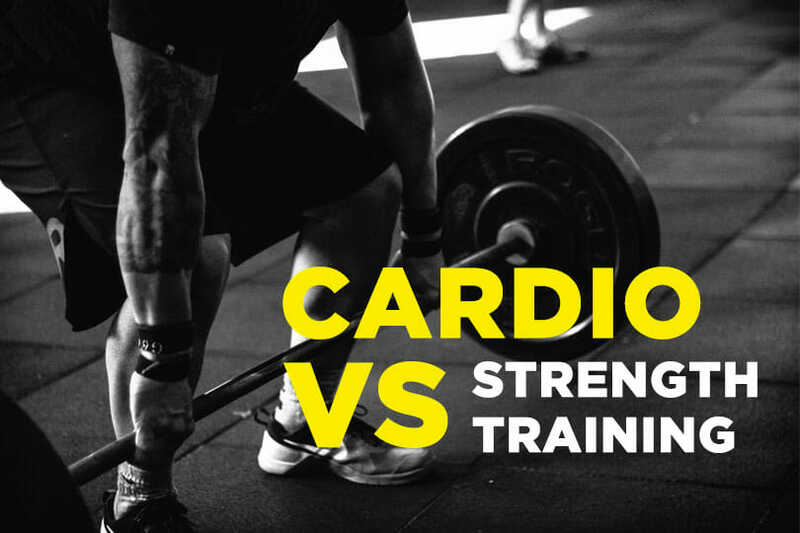 For this section I’m going to compare Insanity vs P90X on several different categories – so you can check out some specifics if something is particularly important to you. P90X requires very little home equipment. You’ll need some standard home gym equipment like dumbbells, resistance bands, and maybe a yoga block. If you like chin-ups, get a chin-up bar. If not, they usually show alternative moves you can do if you don’t have one. If you don’t have these items – they’re affordable can all be found online. Once you graduate from the program, these are a good investment in keeping up with your fitness. Insanity workouts technically require no equipment because it uses body-weight resistance. Still, there are some items you might want anyway, like a heart-rate monitor and a mat to reduce strain on joints. Although a lack of equipment makes things easier, it does mean that some exercises might start to feel repetitive. P90X programs usually go for 45 minutes, 6 days a week, and wraps up in 90 days. The Yoga portion goes up to 120 minutes. P90X provides more variation of intensity, which makes it easier to keep good form and complete. Exercises include warm-ups and cool-downs. Insanity is 45-60 minutes, 6 days a week, for 60 days, split into two months. The first-month courses are around 45 minutes long, which pushes up to 60 minutes long in the second month. There’s a break between the first and second month. Some people enjoy the rest period, while others find it hard to stay motivated, knowing that the hardest exercises are yet to come. Although the overall program is shorter, it is incredibly difficult to reliably maintain. Online reviews tend to complain about it being hard on ankles, knees, and wrists. This is a serious workout for people who are already fit. It's not for the fitness newbie. With high intensity comes greater risk of injury. To avoid injury, you will have to know the correct form and technique for each move. Before trying to complete your first Insanity circuit, talk to your doctor if you’ve had injuries or sprains. P90X combines circuit training with resistance training. It’s great for building lean muscle and endurance using resistance training. Horton provides lots of modifications and spends 10 minutes on warmups. P90X is intense but is still more manageable than Insanity’s High-Intensity Interval Training (HIIT). ​Insanity uses HIIT, meaning you get short breaks between longer periods of intense exertion. In Insanity, it’s usually around 3 minutes on, 30 seconds “off”. I say “off” because you’re still up and moving through the 30 seconds. It’s anaerobic exercise, meaning you’re operating without oxygen. Insanity is also lacking in the modification department. If you’ve got a past sprain or injury you’re trying to avoid flaring up – you may waste time sitting out unless you already know a modification. P90X is a bit more complicated since it has three phases. The Fat Shredder phase is high in protein and low in fat and carbs. It’s hard to keep up with the routine without carbs, but people usually lose a lot of weight in this first phase. The Energy Booster phase is similar to the Insanity diet – high in carbs and protein, low in fat. The Endurance Maximizer phase mimics the diet of an athlete since it’s a high intake of calories. I’d recommend calculating your TDEE for this phase so you avoid an unnecessary calorie surplus. Insanity: The INSANITY diet plan is easy to follow because the proportions of your macros stay the same throughout the program: 40% protein, 40% carbs, and 20% fat. Everything is laid out in the INSANITY diet plan. The plan gives you a guide to calculating your calories and easy recipes. The cost of each course is similar (around $120-$140), depending on where you purchase. Both sets include the nutrition meal plan, a fitness guide, and a goal-setting calendar. Beachbody also works to keep you supported after you turn off your TV. With your purchase, they offer 24-hour access to fitness experts and an online community forum. Overall, the benefits of each program are different, so the price shouldn’t be your deciding factor. 1. Is P90X good for losing weight? P90X is good for losing weight and building lean, toned muscle. It's designed for improving overall fitness, which means that you’ll give up targeted gains to instead improve all of your body's physical energy systems during one 90-day push. You’ll burn body fat and gain lean muscle mass through weight training circuits. 2. 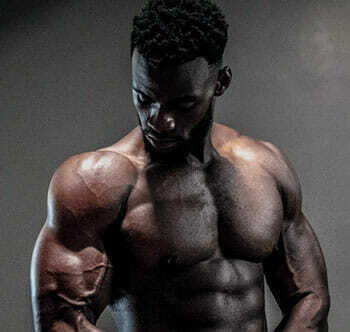 Can P90X get you ripped? Over time, P90X can get you ripped because by using muscle confusion, combines a total body workout with the aim that you won’t plateau on your way to your new ripped physique. The program isn’t designed to build mass, but it excels at using weight training to increase your strength, shed fat, and reveal your newly toned muscles. ​3. Does P90X build muscle or just tone? P90X can build muscle as well as tone with the right adjustments. Since the workout program requires equipment, you can adjust that equipment to build strength and further challenge your muscles. Some examples would be increasing the resistance with heavier dumbbells, adding ankle weights, or using tighter resistance bands. The program is meant to improve your overall fitness – so if your main goal is to bulk up, you can also try modifying the nutrition plan. 4. Is Insanity good for weight loss? Insanity is good for weight loss because of the high amount of calories you’ll burn by completing it. 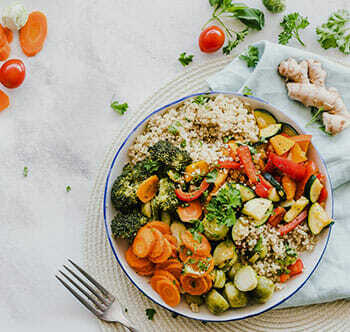 With a careful diet, you can easily maintain a calorie deficit that will result in weight loss. Generally, you need to keep a deficit of 500-1000 calories a day to lose 1-2 pounds a week. ​5. 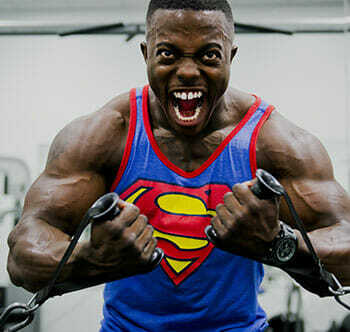 Can you build muscle with Insanity? You can build some muscle definition with Insanity, but the program isn’t geared toward increasing muscle mass. Because the program doesn’t use equipment, you can’t implement many of the techniques usually used for muscle hypertrophy, such as progressive overload, CEP protocol, or others. This program is designed for those who are already happy with their muscle mass and want to improve their endurance or athleticism. Overall, with enough discipline in your exercise and diet, both programs can bring you success. However, I would say P90X is better suited for most people for several reasons. The P90X provides clear instructions and requires only the most basic home exercise equipment. The exercises are more varied and provide modifications if you have past injuries. Insanity, on the other hand, is pretty much straight HIIT cardio with some variation thrown in. No matter if you choose P90X or Insanity, both programs are available for purchase online. Furthermore, you don’t have to worry if you lose the DVDs or might not be able to complete your exercise program of choice. Whatever you think suits your physical tolerance and capability regarding workouts, beachbody has that covered for you. With their latest on demand feature called Beachbody on Demand, this gives you the option in choosing the right workout for you to do at home to help you achieve the body you’ve always desired. So, don’t waste another evening just because you can’t make it to the gym. Get online and find the right home workout program for you.